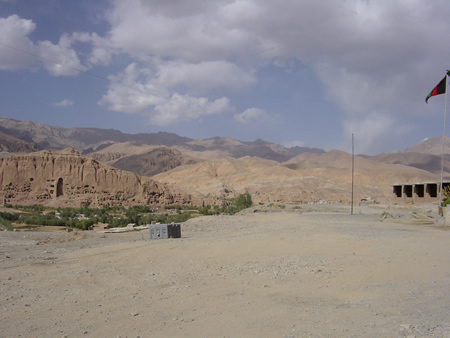 A small radio station operating from the historical city of Bamiyan in northern Afghanistan is bringing music, news and information to the people of this remote area. Using a 400 watt Nautel transmitter and long-wire aerial, the station has its office in a room in the Government guesthouse overlooking the famous cliffs where huge Buddha statues once stood. The figures were destroyed by the Taliban late last year. 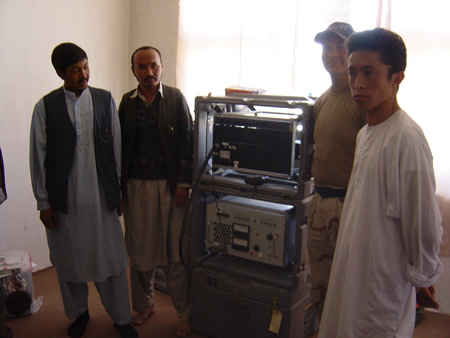 Although Radio Bamiyan has no studio equipment, broadcasting takes place by connecting tape recorders and microphones directly into the transmission equipment. The transmitter was supplied by U.S. Coalition forces based in Bamiyan, while locally employed Bamiyan staff produce programmes for broadcast. UNESCO, through the Voice of Afghan Women in Global Media, a professional NGO of women journalists and media workers, intends to assist Bamiyan women to also prepare programmes for transmission. Radio Bamiyan operates on 1500 kHz on the mediumwave band and goes to air from 6.00pm to 7.30pm each evening.